L ouise Jean Freedman (maiden name Louise Jenny Reifman), passed away on February 22nd, 2019, 92 years of age. Born April 7th, 1926 in Mount Clemens, Michigan to Joseph and Bessie Reifman. 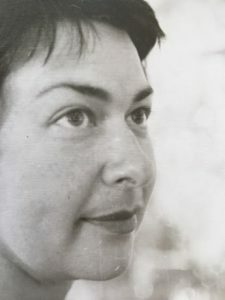 Louise was a committed environmentalist, mycologist, published author and artist. She was an activist in many San Francisco Bay Area environmental organizations, an avid supporter of the organic health food movement, and was an excellent cook. Her cookbook “Wild about Mushrooms”, published in 1987, was distributed in bookstores throughout the country. Her botanical watercolors were used for mushroom fair posters and clothing. She led naturalist hikes in Filoli and the Crystal Springs watershed, and was a docent at the Academy of Sciences. She dedicated her life to a long list of environmental organizations: the Mycological Society of San Francisco (MSSF), the Sierra Club, Save the Bay, Filoli and others. After graduating from the Cleveland School of Arts, Louise headed to the West Coast, where she worked as a recreational instructor at the Santa Rosa Parks & Recreation community center. She then moved to San Francisco to work as a draftsman at Bechtel before meeting William B Freedman, M.D, whom she married in 1955. They eventually settled in Hillsborough, CA surrounded by oak trees and Monterey Pines, blessed with an exceptional, and loving marriage – 63 years in full. She is survived by her husband, William B. Freedman, M.D., their four children Francesca, Tamara, Tera, and Toby, two grandchildren Clara and Rose and her brother, Seymour Reifman. Louise will be greatly missed as a bright and shining star, as someone whom greeted life with humor, creativity and grace.